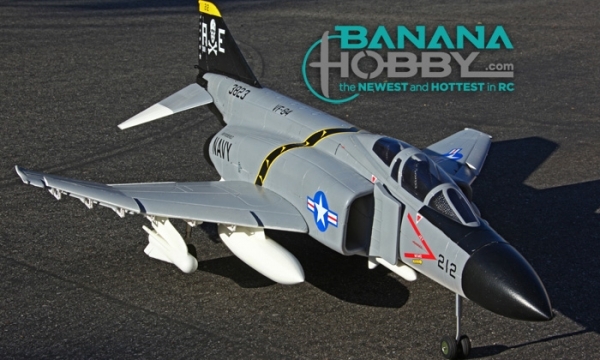 We are proud to offer this beautiful scale replica model of the legendary F-4 Phantom II jet. Equipped with twin 70mm EDFs on a dual 50 amp ESCs and powered by a 6 cell Li-Po battery, the F-4 Phantom has plenty of power to spare for performing flips, rolls, inverted flights and other maneuvers. The scale flaps and slats work in tandem to provide responsive in the air deceleration, while the durable metal retracts fitted with a special magnetic braking system provides for effective on the ground braking. For those shorter length runways, this feature is invaluable for a safe and controlled landing.